The rain started right on schedule. 8pm, almost on the dot. Look at these total since last night. This is only since 5am. It has been raining hard since 5am. This numbers are going to climb. Looks like we will have rain through the day. Then more overnight and through Tuesday. Tuesday's rain will be more showery, than steady. 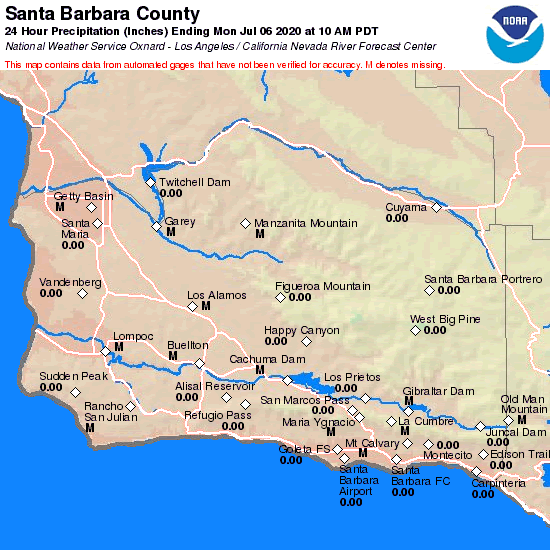 We will see nice totals when it is all said and done...these rain will bring Cachuma Lake levels up. We will get a break on Wednesday and Thursday. Thursday night, we get the next system. This will bring rain Friday. Got to love all the rain.... and how about that super bowl. What a comeback.... I missed the half time show, because I had to cover a roof with plastic.